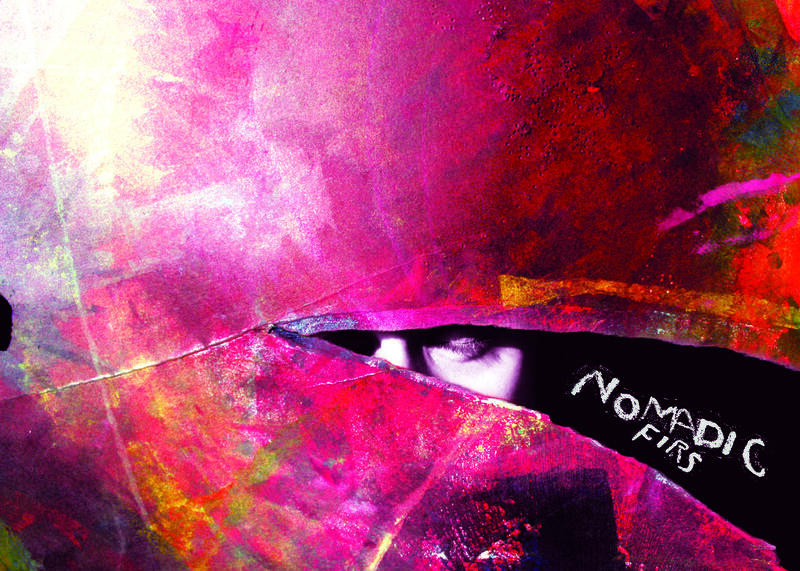 The new album for Nomadic Firs is swimming along nicely. At this point there’s no release date but I hope its ready by spring, out by late summer, or early fall. Mainly, its just two years of exploring sounds, and experimenting with different ideas and approaches. The hope is “texture” wins out as the main theme throughout the 9 or 10 track album. In the middle of that, I’m narrowing down the amount of things I do so I can transition this project into some level of performance. Most likely me hitting buttons and wiggling my head weirdly. Continually, I come to the same revelations about music. Its just a place I like to go in my head, almost an absolute personal thing. But I don’t want to let this flowering solitude squander away in some kind of reclusive obscurity. So, I’m gonna try and be out there. I’m also recording a second album under a different name with my close friend Adam Stolz, in Chicago. We’ve been flirting with the name Hot Butter Lunch, and the album is 8-10 tracks deep already. Its a revamp of our former band Case Point, and honestly the new sound we have going is pretty damn special in my view. Kind of a “psych hop” if you will. No word on when we’ll stop recording and release, but within the next year for sure. The newest song thats coming out is a remix I just wrapped under Nomadic Firs, for Matt Honkonen. Its for his first single “Sea of Clouds” off of his new album Take Me Home. Hopefully we drop that puppy quite soon. After a more formal release for his new gem of an album. I’m actually doing a Q/A with him on Acres, so thats coming as well. Here’s the official video for his new single, FYI I’m the taller dude in the video. Very fun day! His new album is really good, I encourage you to explore his history indeed. For now, thats about it. Plenty going on in life, and in music. Big Ears 2016 just announced, so thats always a big moment for us Knoxville peeps. Lee’s coming back!